This week the NRC’s public blog posted an article about what it is doing to improve public meetings. What’s missing from the dialog about civility and public safety at the NRC’s hearings are the role, and responsibilities, of the nuclear utilities regulated by the agency. The issue is what is their role towards insuring these conditions prevail at NRC public meetings and virtually in online social media forums? There are costs to utilities in terms of dollars, and impacts on brand value, when anti-nuclear activists resort to political theater and other forms of intimidation of both the NRC’s staff and the public who disagree with their orthodoxy. While the NRC conducts the vast majority of its public meetings without incident. there is a disturbing trend in public discourse taking place on the Internet which is spilling over from virtual to real life. It includes shameless bullying, idiosyncratic interruptions of process, and deliberate efforts to undermine public confidence in the legitimacy of the NRC’s decision making and the rigor and diligence of compliance by nuclear utilities with these decisions. Last March I wrote two blog posts (here and here) about civility and safety at NRC public meetings. The reason for the blog posts was a calamitous public meeting held in Vermont last February. There anti-nuclear activists verbally threatened and bullied members of the public who’s views on the closure of the Vermont Yankee plant differed from the prevailing “green” orthodox view. In one incident caught on video, an activist nearly took a swing at a utility employee. Only the timely intervention of a security guard prevented a shouting match from turning into bloodshed. Fast forward to June 2015 and the NRC has responded to two letters of protest about the meeting. The first letter, which was sent by Meredith Angwin, who blogs at Yes Vermont Yankee, received what can best be called a “boilerplate” reply from the NRC. In it the agency’s answer to her protest is that its options for dealing with disruptions at these meetings are limited. The fact is, according to Angwin, that the NRC asked one of the people who was causing trouble to leave, and then later let that person back into the meeting where there was yet more trouble. This incident was also documented in a second letter from a major figure in the nuclear industry. The NRC reply to Paul Lorenzi, the former CEO of NuScale Power, also mentions that the agency has “limited options” in dealing with outlandish behaviors at its meetings. Both NRC letters cite an NRC Task Force report that lays out methods for improving the agency’s engagement with the public. As noted in my critique of the report, there is still a lot of work that needs to be done. One of the issues that seems to fall by the wayside is that the nuclear utilities regulated by the NRC have a stake in the agency maintaining control of its public meetings. Here’s why. * Public meetings are one of the few places where the public can interact with utility’s managers and hear what they have to say. A disrupted meeting casts a negative shadow over the utility’s message however positive it may be about plant safety. The reason is people remember the disruption and not the safety message. The news media will certainly report it first, and the substantive issues at stake second. * Publicly traded electric utilities have multi-million dollar stakes in the regulatory actions the NRC imposes on its operations. A utility’s brand value depends in part on positive views of the utility by the public. An NRC meeting that goes south will color public perceptions of both the utility and the NRC even though both are blameless regarding the cause of the disruption. * Anti-nuclear activists who engage in political theater have a specific objective when they disrupt an NRC public meeting. It is to cast doubt on the legitimacy of the agency’s regulatory decision making and on the utility’s claims that it operates its nuclear plant safely in compliance with these decisions. * Nuclear utilities have an interest in pressing the NRC to do more to insure that public meetings are civil and safe. The consequences of a disrupted public meeting can include additional costs, wasted time and effort, and negative brand value. Also, they can weaken public support for the utility’s nuclear facility which can lead to economic consequences, or changes in state legislation or regulatory oversight. * For instance, the State of New York is trying to close Indian Point by using the conditions of a water quality permit as a fulcrum for this type of leverage. Riverkeeper, a green group, and others like it, has gone out of their way to demonize the nuclear facility, the utility, and the NRC. To respond to these intrusions on legitimate public meetings, both the NRC and the nuclear utilities it regulates, must change the way they communicate. Neither can limit their engagement with the public to hearings. The public relations paradigm of the 1950s through the 1990s was pretty simple. It was a broadcast model of one-to-many. The agency or the utility issued a press release which was picked up by newspapers, wire services, and TV/radios stations and broadcast to the public. This outbound messaging strategy had a very weak set of feedback loops with long lag times. People could write letters to the editor of the newspaper. Print publication of them could take days or weeks, and far fewer people saw the responses than the original news story. TV and radio had almost no effective methods for airing viewer feedback. Regardless of the media channel, both the agency and the utility had a pretty strong grip in terms of control of the message. This paradigm has broken down with the rise of social media. The NRC task force report isn’t very strong on dealing with social media focusing mostly on internal agency management and process improvements. The licensed facilities which are the subject of NRC hearings are not off the hook regarding public meetings just because the NRC published its task force report. None of this is to suggest nor promote the idea that the NRC needs to take an action with regard to being prescriptive about the utility’s role on these issues. The public relations paradigm since the advent of social media in the past decade is many-to-many. A news story gets circulated and discussed in in so many different social media channels that utilities have to hire specialists to track the analytic information on the number of shares, likes, and other citations in dozens of online services. Public opinion is now shaped by dozens of different sources and feedback mechanisms within these social media channels are instantaneous. Nuclear utilities have long practiced a “bunker mentality” which says that once they’ve given the regulatory agency the information it wants, they feel that their obligation to inform the public is over. There are some exceptions, but employees of nuclear utilities are often instructed not to speak at public meetings leaving that role to designated spokespersons. While nuclear utilities have significant fiduciary responsibilities which limit what they can say and do in public, informing the public is never a poor choice, and goes as much with branding and marketing strategies as it does to support public hearings. It is just good business. That doesn’t mean a utility should pack a hearing with its staff, but it does mean that effective communication through various news and social media to the general public is a basic starting point. The NRC and the nuclear industry need to cooperate to find new ways to insure that when people show up at a hearing, or public meeting, that they can feel safe and secure knowing that a civil process will take place. Using social media ahead of the meetings can do a lot to set public expectations and perceptions and “inoculate” the public against the predatory efforts by people bent on disruption of these meetings. This means nuclear utilities need to help plan the meeting and have their people at the event. The utility needs to conduct outreach to the community, no less so that the NRC, when it comes to these kinds of public events. The answer to problems with communication at public meetings is more communication. A utility which views social media as just a new set of channels for one-to-many communication for its press releases will fail to satisfy its outreach objectives. 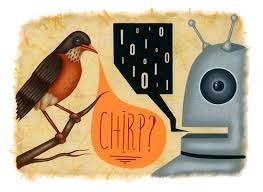 The reason is social media, with its instantaneous feedback loops, is about dialog. 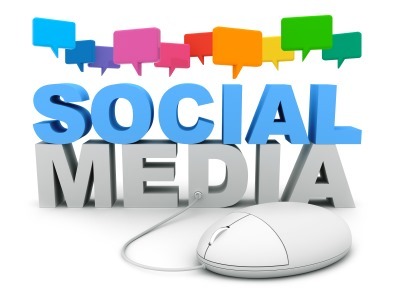 Mastery of social media means engaging in dialog in social media channels. This is a daunting challenge for some utilities which have three layers of executives, legal counsel, and the CFO, praying over even the most routine of press releases. My message to the NRC and nuclear utilities is forget about controlling the message and start figuring out how to master the dialog. The entities with the best ability to mediate dialog, and participate in its effectively, will make far more progress in getting their message across than those who don’t do these things. While it is true that some people think political theater is a substitute for establishing a hearing record in a regulatory decision process, the fact the agency knows it is likely to be challenged in court. That’s why the record matters. We all know that, but the public isn’t always cognizant of the boundary between protest and process. People who opt for protest may feel powerless and that fuels disruptive behaviors. Dialog is an effective tool for outreach. People who feel they are being heard are not as likely to run around in clown suits, or create other distractions, at a public hearing. 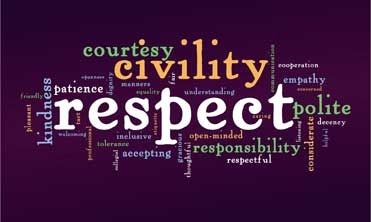 Civility and safety in public meetings, or social media, still depend on appeals to reason, engaging respectfully with people who hold divergent views, and recognizing that the public brings all kinds of perceptions about power and persuasion to social media forums. The more dialog there is which is civil and safe, the less influence people with agendas to disrupt it at public meetings will have over their outcomes. Why can’t the NRC acquire two rooms for the hearing. One for only the board/panel and the person giving comments/questions/testimony and one for the rest of the participants. The participants would be given the opportunity to speak for a set amount of time and then the microphone and video would be turned off. The second room would have the video and sound piped in from the hearing recording video and microphones. No talking would be allowed by participants including media in the second room. Participants talking or wanting to talk would have to leave the second room or be forced to leave by security. Over at FERC today there are two protests underway in response to hearings on natural gas fracking. Inside a group dressed in business attire were escorted out of the hearing room after disrupting the hearing with chants. Outside people dressed up in clown costumes are marching in front of the building. FERC officials won’t let any of them in because they know that some of the “clowns” have previously been tossed out of the building for disrupting previous hearings, and . . . wait for it . . . security officials can’t tell who is polite and not so polite due to the clown make up and costumes.